VALLEY, Virgin Gorda, VI- Mr Tyrone E. George of Virgin Gorda is the Best of the Best Mr Gentleman of Quality (GQ). 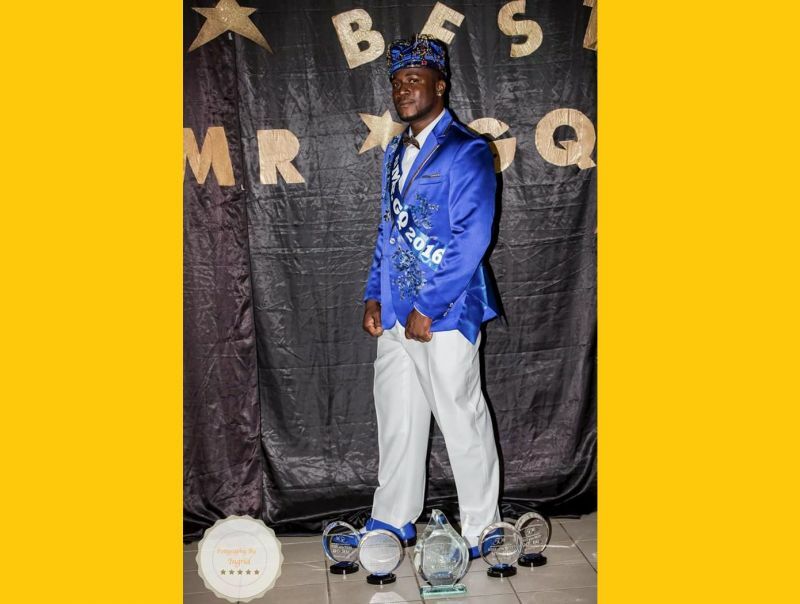 George who was the 2006/2007 Mr GQ took a clean sweep, Best in Talent, Swimwear, Introduction and Evening wear, for the title of the Best of the Best Mr GQ at the pageant held at the Catholic Community Center in Virgin Gorda, on Saturday December 10, 2016. Speaking to this news site, George said at first he was shocked that he was chosen to compete for that title, however ,he felt honoured and gave it his all. "It was a privilege being on stage again. I got the support of all my friends and family. It was nice for those who did not see me in 2006 to see me in 2016 to know that I still got it." He added, "I came to give the show a hundred percent." The First Runner Up was Contestant # 3 Myron 'MJ' Thomas Jr And the Second Runner Up position went to Contestant # 4 Lincoln Sprauve Jr.
Other participants were: Contestant #1 Myron Dore and Contestant # 2 Garry Bell. 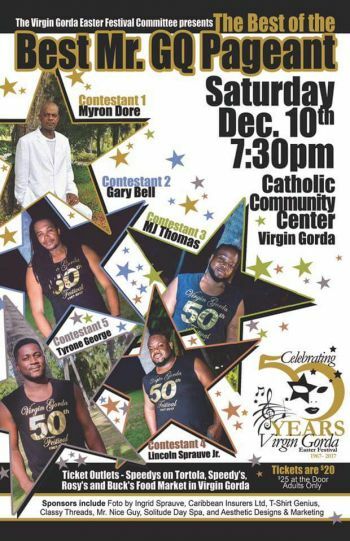 Chairperson of the Virgin Gorda Festival Committee Sasha D. A. Flax said the show was to mark and build anticipation for that island's golden jubilee celebration in 2017. "Next year-2017 will be Virgin Gorda's 50th anniversary of Easter Festival and we have been having the Mr GQ pageant for a number of years so we got a few of the winners from previous pageants to compete against each other. The pageant is to build up anticipation for the festival." The participants received cash and other assorted prizes. theres so many dumb shows out there im surprised theres no mr miss show by now. I agree with you Pepsi Generation. What a waste of time. Now a Mr. Miss show, that might be worth seeing at least once. You are so Lame. Take this L.
Looks like an African Prince. Respect young man. Live with integrity always. Be the change you wish to see for your brothers and sisters. Blessed. Pepsi Generation, don't be hating on our shows in VG. You are welcome to join us for our 50th celebrations.